Based on where you live or work (and if you’d like to meet people in your demographic), these groups will bring our Vision and Values to life by learning from our rabbis via DVD and Temple-sourced discussion materials. Meet your neighbors, know what your Temple stands for, and change your life. Simply put -- we are asking for leaders to host at least two or more other people. The groups may meet at home, in your office boardroom, or even on FaceTime. Our hope is that we will all make time to help expand our Jewish learning and personal revelation in the process. A group of neighbors who will come together to get to know one another and appreciate the unique offerings of their neighborhood. 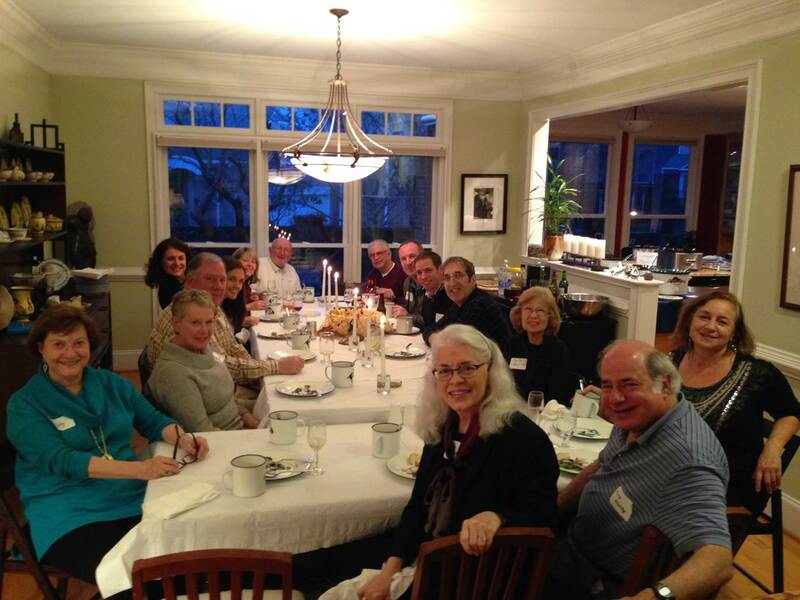 OUr group gathers together for dinners at home or local activities like a walk or hike outdoors. Sometimes we bring our children and sometimes we meet alone as adults. During our meetings, we talk about parenting, what it's like to build a blended family (considering aspects like divorce, interfaith, dispersed extended family..), establishing ourselves in a new community, and other related topics. As a result of our small group meetings, we hope to establish friendships and build a supportive community of people with similar circumstances. Temple Connect Chai: Brookhaven/Ashford Park: Could Be You! This group is for families with kids in grade school and younger. We will get together for kid-friendly outings and hang outs. Looking forward to meeting our neighbors! Sign up for the group and we'll help you get started! Calling all Brookhaven Moms! Are you drowning in homework, carpool and sign-up geniuses? Need a night out? Welcome to Brookhaven Moms' Night out, for ladies in the neighborhood with elementary school kids, who want a night out to unwind, relax, and get to know Temple moms in the neighborhood. We will meet once a month, either at someone's house in the neighborhood or at a local restaurant. Using the principles of the Ben Franklin Circles, our group will use his classic 13 principles to spark discussion about members goals and aspirations. Come join us as we take a break from the divisive issues of our day and instead learn how our experiences have shaped our lives and the world around us. Calling all Morningside Moms-Need a night out? Welcome to Morningside Moms’ Night out, for Ladies in the neighborhood with young kids, who want a night out to unwind, relax, and discuss any relevant topics. We will meet once a month, either at someone’s house in the neighborhood or at a local restaurant, the first Thursday of each Month. 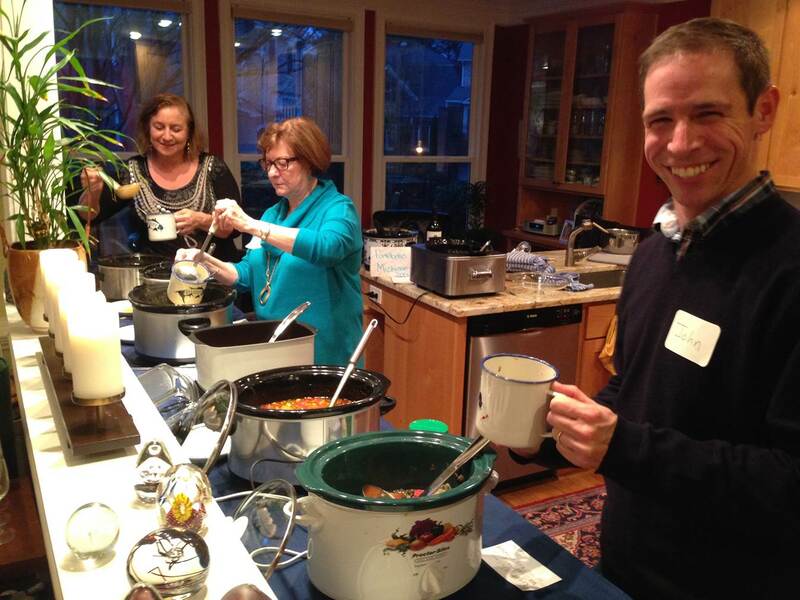 The purpose of our group is to make The Temple feel a little smaller, to celebrate and promote awareness of Jewish holidays at Paideia and to share information on everything from babysitters to summer camp to colleges with a vibrant Jewish life. We are just getting started by hope to meet regularly during the school year both to socialize with each other and for Tikkun Olam. ISO Buckhead/Sandy Springs women, 40-60 years YOUNG ready to give back to our community while simultaneously gaining new friends and relationships. Be ready to push up your sleeves gals as we gather each month in the AM for a couple of hours of community service followed by an informal lunch at a nearby, casual restaurant for fellowship. Tikkun Olam y'all!